When you visit our practice for the first time our helpful and friendly reception staff will greet you and ask you for a few details. You will then meet your dental nurse and dentist who will firstly listen to any of your individual concerns about your visit and your dental health. A comprehensive ten point dental examination will then be carried out with the aid of modern digital x-rays. We will thoroughly assess the condition of your teeth and gums, including a very easy to complete oral cancer check and health screen of the rest of your mouth. We shall then discuss your personal treatment plan, which will include any necessary treatment, cosmetic options and prevention advice. A detailed estimate of the agreed plan and the various options will be provided for your information. All costs will be outlined for you. Whatever care is recommended, you can decide which option is right for you before treatment commences. Zero percent finance options are available and any of our staff members will be happy to discuss this with you, if it is of interest to you. 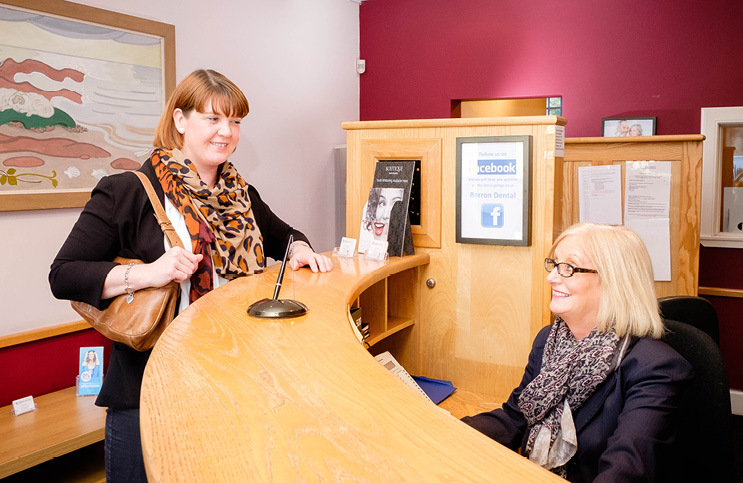 Finally, our reception staff will be happy to arrange any appointments that you may require at a time that is suitable to you.